Snowdan (third left) symbolically launching the TEDxKenyalang at BCCK. Also seen is Nancy (second left) and Eric (second right). KUCHING: TEDxKenyalang, which is part of a global movement to bring ideas worth spreading to communities around the globe, can act as an integral platform for Sarawakian youths to share and nurture their ideas. Themed ‘Be The Best’ this year, the launch of the event today saw around 500 delegates from Sarawak, Brunei Darussalam and Indonesia in attendance at Borneo Convention Centre Kuching (BCCK). “Discussion often leads to inspiration, and inspiration will then lead to innovation,” said Assistant Minister of Youth and Sports Datuk Snowdan Lawan who represented the chief minister Datuk Patinggi Abang Johari Tun Openg at the launch. With the TEDx platform, he added, it is hoped that many new innovations, big or small can be born. “It is now a global stage on which the world’s best thinkers and doers share and ignite our curiosity,” he said. On another note, Snowdan said TEDx events are independent, localised version of the American TED conference, spreading across the globe which reaches to more than 130 countries. He also commended Koperasi Belia Inovatif Sarawak (KOBIS) as the organiser to bring the TEDx name to Sarawak. 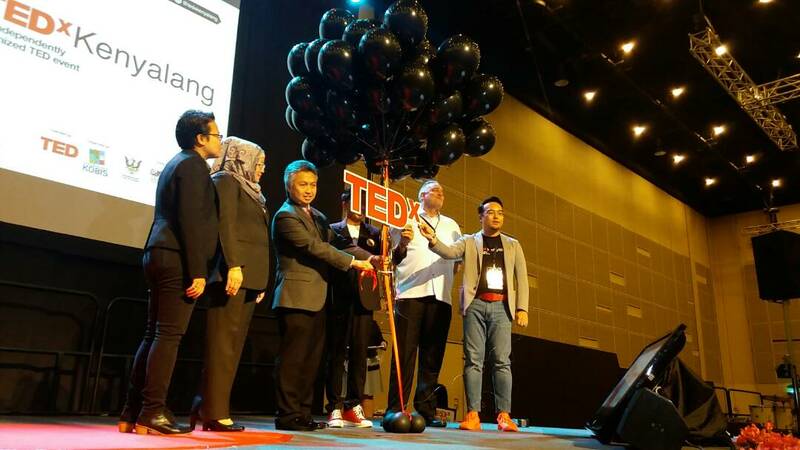 “I hope TEDx will continue to flourish in Sarawak for many more years to come, creating a bigger and better platform each year to inspire everyone who attends the conference,” he said. Renowned speakers for this year’s TEDxKenyalang are Kuching-born Hollywood music producer Alvin Wee; Wildlife Ecologist and Conservation Planner Anthony Sebastian and Azmir Zed; SEA Games medalist and life coach Diane Russell; Storyboard Artist and Creative Director Dr. Muhammad Abdullah Zaidel; Finance Strategist and Educator Aziph Mustapha; Teacher and TED-Ed Innovative Educator Magdaline Muuk; SADA Borneo Mushtak Al-Atabi; and Educator Datin Valerie Mashman. Also present at the launch were TEDxKenyalang and Kobis chairman Zaiwin Kassim, Ministry of Tourism, Arts, Culture, Youth and Sports principal assistant secretary (youth) Nancy Jolhi, BCCK chief executive officer Eric Van Piggelen and Sarawak Convention Bureau head of business development Anedia Kahar. Tomorrow, TEDxKenyalang will shift location to Borneo 744 starting at 9am to 5pm where various activities such as workshops, youth bazaar and business matching will be conducted.